For the last year I have been working with an amazing Diagnostic tool called DIACOM TECHNOLOGY– It is a Bio-Resonance Measurement Technology with Bio Feedback. The Diacom has a full body evaluation test targeted for early recognition and prevention of future disease. It is amazing! Through the graphs, past illness signatures are seen and the different reports suggest what is currently going on in the body and the possibility of what may occur. I spent time searching for new diagnostic technology because while traveling in Morocco and England in 2012 I contracted Borreliosis -(a type of Lymes disease). I went to an infectious disease specialist on Kauai because I thought it might be Malaria or Lymes disease. But the blood work didn’t show any indication of malaria or borreliosis. I knew I had something. Eventually,I found the Diacom Technology! The first scan showed the bacteria for Lymes disease in many organs. The Diacom has a full body evaluation test targeted for early recognition and prevention of future disease. It is amazing! Through the graphs past illness signatures are seen and the different reports suggest what is currently going on in the body and the possibility of what may occur. It also has 2 different kinds of energetic treatments called Meta and DC treatments. One treatment gives energy to the depleted organs or cells and the other tells stem cells to start making new healthy cells. In the Meta treatment you will feel more energy! I also use hands on techniques and crystal therapies in my sessions. 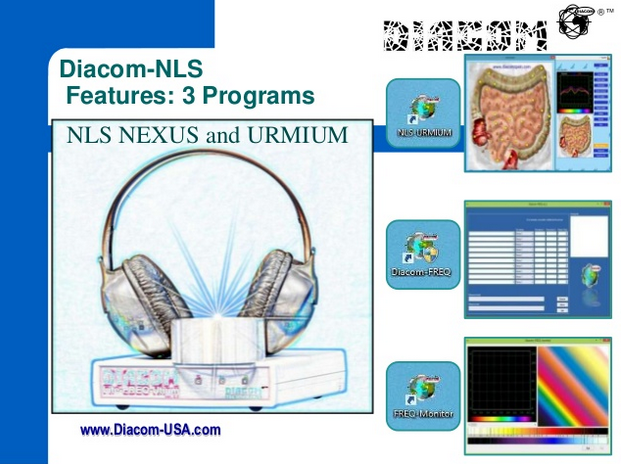 The Diacom System is based on advanced research in homeostasis and informational technologies. It monitors and decodes cellular oscillations to gain more information. It also has a frequency machine to detox the body from bacterias viruses and fungus. With the Diacom we can read the energy in over 500 organs and systems and get deep levels of information. Call me for more info!